On 15th of March, the close celebration of Nowruz brought together in Astana the heads of four of the five Central Asian states, with the notable exception of Gurbanguly Berdymukhammedov, president of Turkmenistan, who was instead represented by the speaker of the Parliament, Akja Nurberdyeva. Hosted by Kazakhstan, at the initiative of the Uzbek president, Shavkat Mirziyoev, the summit was praised post factum as a significant step for closer regional cooperation. The presidential meeting was the first one since the informal summit in 2009 and took place in the context of the open foreign policy promoted by the Uzbek president, Shavkat Mirziyoev, who seeks to enhance Central Asian solidarity, especially considering the fact that Uzbekistan has common border with all the other four Central Asian republics. During the dialogue, Tajikistan pledged to organize a meeting on water resources, while Turkmenistan proposed to hold the summit for the 25th anniversary of the International Fund for Saving the Aral Sea. In the last decade, the five leaders met during various multilateral events, but never gave a chance to a high-level dialogue on pressing issues facing the region. The March conference marks an important step in promoting fruitful neighbouring relations, as the leaders had a chance to develop their bilateral relations through separate meeting, in the framework of the summit. The Declaration adopted by the five leaders highlighted the spirit of solidarity and the idea of new beginnings, by referencing the celebration of the Nowruz, maintaining, however, a general tone. The regional cooperation should focus on economy, transport infrastructure, the rational management of natural resources, without neglecting the people-to-people contact, as well as the sharing of information supporting innovation and sustainability, according to the text put forward by the 5 leaders. First, the summit in Astana shows that the five republics still have much to do in terms of democratic evolution, their policies being strongly marked by the personal view of their leaders. However, the political and economic development in Central Asia during the 26 years of independence hint at a tendency to change their national and regional discourses from that of victims of the great game to that of the responsible actors, capable of making decisions of their own. Throughout their history, the five Central Asian republics faced multiple challenges, especially those related to their abundance or lack of resources, all of them bringing their securities closer together. The globalisation only increased the regional interdependence and pointed to their dependence to external actors for providing economic and political stability. 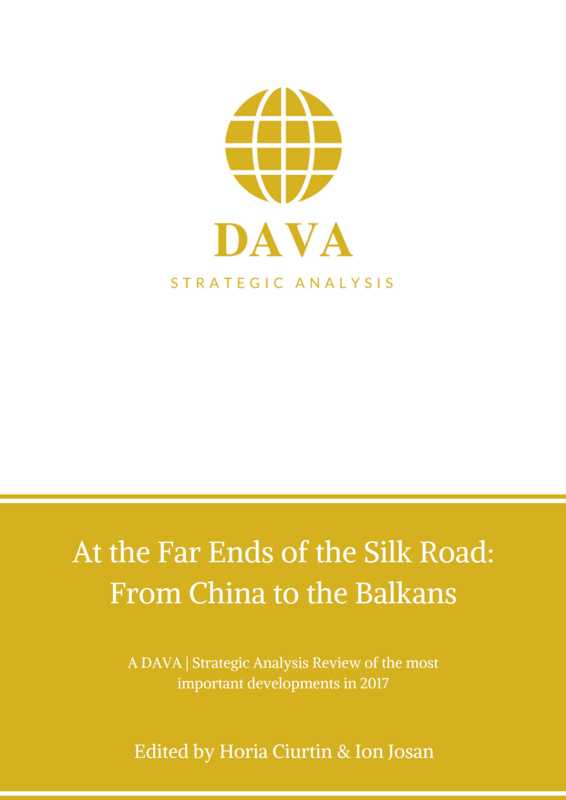 The integration projects promoted by Russia post-1991, the Belt and Road Initiative of China or the European Union’s Strategy for Central Asia demonstrate the potential of the region, only confirming Halford Mackinder’s theory of the heartland from 1919. Secondly, the little publicity the meeting received beforehand suggests that the Central Asian states are not fully prepared to deal in an autonomous way with their regional problems. The active involvement of Russia, China, Turkey, Iran and European Union in the region determine the five leaders to approach the issues cautiously. The matters at hand are not new, but during the past 25 years, their urgency increased, meaning that the five states have to commit to a common strategy for achieving their goals. The significant degree of centralisation of the regimes in the five Central Asian republics contributes to the importance of the meeting, as the personal views of the leaders regarding the power dynamics in the region influence the foreign policy decisions. The fact that all the 5 leaders agreed to have a high level meeting, paired with the periodic meetings of the ministries of foreign affairs highlight a commitment to say the least in terms of dialogue – a significant step in confidence building for long term cooperation. Third, the framework provided by the European Union offer the possibility of holding technical and political talks in various fields, with the support of European experts. Even though the Central Asian countries underscored the importance they attached to their sovereignty, the proposals of deepening the regional cooperation in fields of common interest show that the EU’s effort is paying off. Besides, the European Union seems to be more involved in ensuring the region’s stability, by promoting peace and conflict resolution in Afghanistan in periodical conferences with the five Central Asian states. On 26th March, the High Representative for Foreign Affairs and Security Policy, Federica Mogherini, met in Tashkent with the foreign ministers of Kazakhstan, Tajikistan, Uzbekistan and the Kyrgyz Republic and the deputy foreign minister of Turkmenistan to discuss about the perspectives of EU-Central Asia cooperation. The discussions focused on the continuation of the good relations, with a view on the following regional events on political and security dialogue, counter-terrorism and violent extremism and water management. The Central Asian states are committed also to get involved in shaping the new EU Strategy dedicated to the region, by providing feedback. From a certain point of view, the goals set during March presidential meeting resemble the ones put forward at the creation of the European Coal and Steel Community – the common management natural resources for the industrial purposes. The big issue in Central Asia – water management – can develop the premises for a regional cooperation in the economic field. The Belt and Road Initiative implemented by China can contribute to that goal, further determining the Central Asian countries to consolidate their cooperation in their own benefit. The periodic contacts between high officials of the five Central Asian states, as well as between experts working on technical levels of cooperation in field of common interest contribute to the creation of a regional community, consciously brought together by their willingness to become relevant actors at the nexus of the new great game. Ana-Maria Anghelescu is a PhD Candidate at National University of Political Sciences and Public Administration, Bucharest, Romania. Her thesis focuses on the perspectives of niche diplomacy for Romanian foreign policy towards Central Asian states, in the European context. She holds a MA in Conflict Analysis and Resolution and a BA in International Relations and European Studies from the same university.